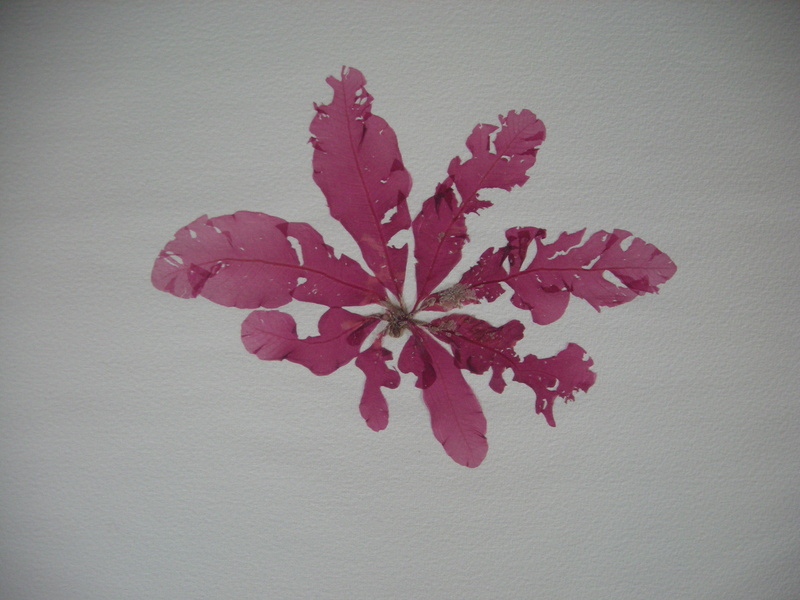 I have been working with seaweeds since 2010 when I first attended Catherine Conway-Payne’s wonderful Herbology class at the Royal Botanic Garden in Edinburgh. As part of our course work we were asked to create herbarium specimens of therapeutic and medicinal herbs. 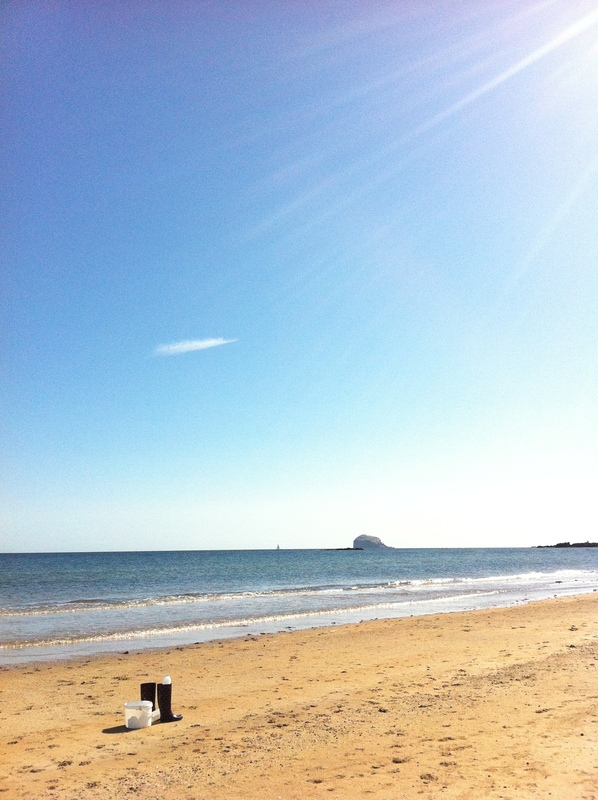 My path took me to the shore close to my home to search for coastal flora and from there I naturally strayed to the beach. Here lay the threads and strands of a multitude of flora from an undersea garden we never see. Closer inspection revealed a wealth of diversity in colour, form and scale and yet I knew little about it. Further down along the rocky outcrops reaching into the sea, were the tide pools that children search for sea anemones and crabs in, and there in between the thick layers of wrack, was a wonderful world of red, purple, green and amber algae. 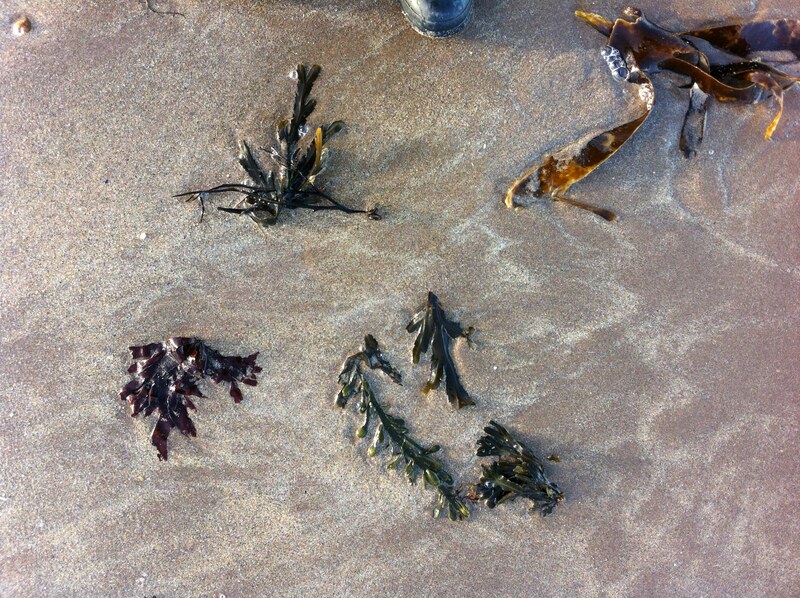 I have subsequently collected and pressed dozens of seaweeds from this small stretch of beach, from great splays of Dulse to delicate Coralinas, fuzzy sea mosses and threads of deep water species. Identity has been slow process; seaside rambler books, the RBGE herbarium and internet sites, but still there are many unknowns. What has been equally fascinating is the overwhelming research that points to seaweeds as one of the most health enhancing and life sustaining elements on earth. They are used differently in each seaside culture, from ours where they are prized as fertilisers, to Japan and Korea where they are essential food stuff, to Italy where they are used as skin creams and eye baths. In Iceland wracks are used to treat thyroid conditions and French research points to their immense value as an aid to cancer recovery. Few however have used seaweeds in design and it is this aspect I have been exploring. Although their inherent beauty must be seen underwater, even as dried, pressed specimens, they give us a glimpse of the beauty and nature of the sea and bring us closer to its shore.